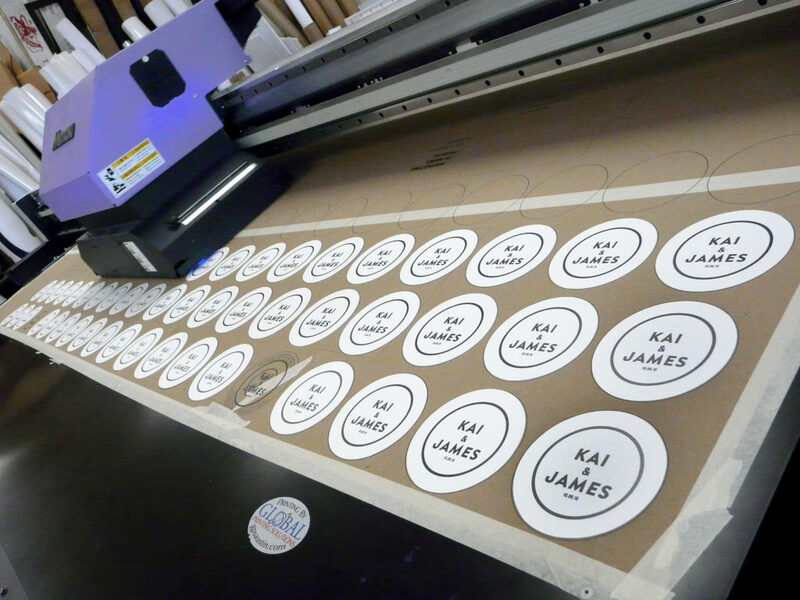 Circle Cut Party Printing for Kai & James! For their tropical destination wedding, this vinyl loving couple chose to use a music record motif throughout their event. Pictured are menus, commemorative coasters, and schedules- all printed and cut with circular dies by us! Congratulations to the happy couple! If you’re interested in custom printing and die cutting for your next event, drop us a line and we’ll get you an estimate for your project! 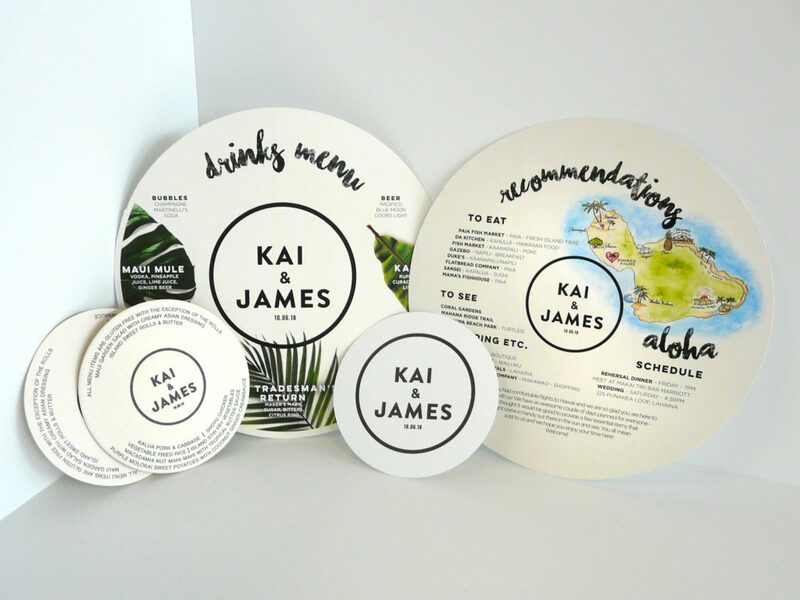 We can print small batches of coasters lighting fast with our state of the art flatbed printer! Custom Labels for your products!